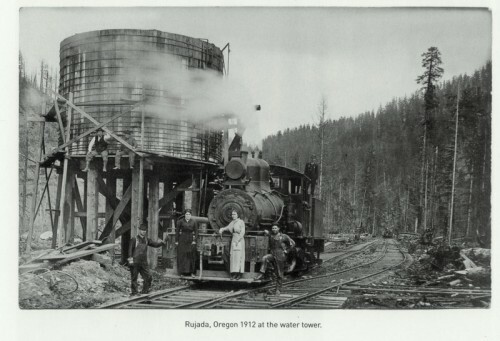 Dorena Historical Society » Blog Archive » Another Rujada photo. We just received a copy of this old photo of Rujada. Back in the old days, the railroad tracks ended there. Rujada survives today as a beautiful park with campsites and some nice hiking trails up the creek and through the woods.